Today, a genuine wish came true. It’s been my one dream to ride a Fresian horse some day. My niece, Megan Chambers, and Alicia Tait made that happen. Such kindness can change everything – I’ll never forget it! 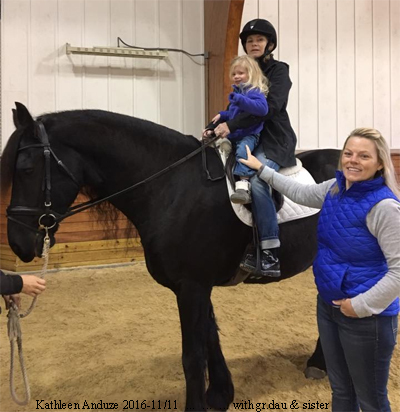 My co-rider is my beautiful granddaughter Madelynn, and that’s my terrific sister Colleen Sinon standing by me. * Admin issues: SHARE dementia awareness thru buttons below. Feel free to leave your thoughts in the form of comments, but please filter your comments with truthful loving kindness to all concerned. If interested in receiving notice of future blog postings, subscriptions are available through a “follow” button in the upper left corner (MS Explorer) or lower right (Safari, Mozilla Firefox and Chrome). If there is an advertisement below, I have no control over what is shown. Text Copyright © Kathleen Anduze 2016-11/11. 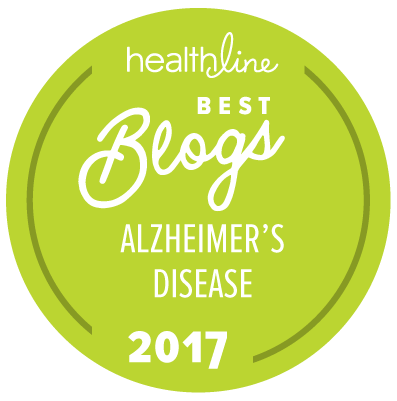 Tags: dementia, horse, LBD, lewy body, Kathleen Anduze, wish.